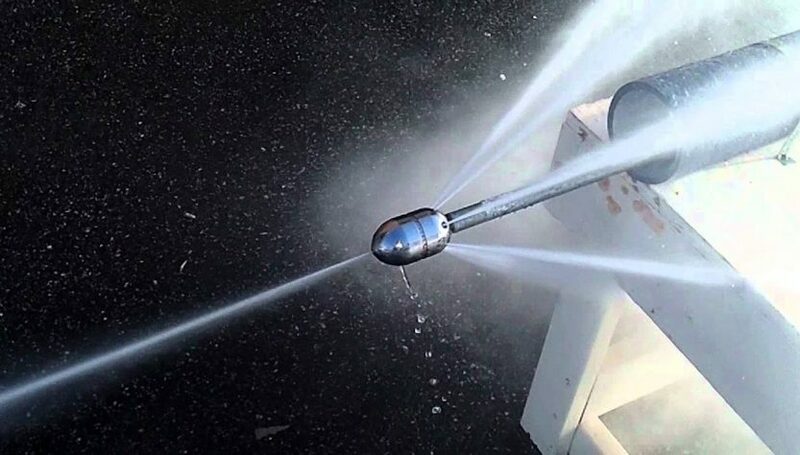 Home > Construction > How is hydro jetting useful? For a long time, homeowners have been living with clogged and stinking sewer pipe lines. This is because the chemical methods cause some decay and do not unclog the pipes. Modern plumbing technologies have now embraced a new method of cleaning the pipes and drainage systems. This is the hydro jetting cleaning for sewer pipes and drains. This method works by sending the water under extreme pressure through the sewer pipe line. The moving water line sends off the debris clogged in your sewer pipe. This method outweighs the conventional methods of sewer pipe cleaning. The conventional methods are quite expensive and some cause you to have new pipes installation as they could not be unblocked. If you ever invested in cleaning drainage system or a sewer line and yielded no results you now understand how hydro jetting technology is useful for sewer pipe line cleaning. It is from understanding the benefits of this sewer cleaning method that you can tell how useful it is over all the other methods. The following are some of the featured benefits that make it more useful. • The hydro jetting sewer line cleaning does more than unclogging to the sewer line. The pressurized steam expels all the grease, soap, and other materials that had build up in the pipe. The conventional methods do very little as they only punch a hole in the clog. With this, the waste can only pass through the sewer line for sometimes and the clog blocks again. Hydro jetting handles the clog right from its cause. The direct attack minimizes the chances of reappearance. • There is less mess involved. This does not require you to dig through the yard to remove the pipes as most conventional methods demand. The hydro jetting cleaning method leaves the things as instant as before. This makes it less destructive and demanding. • It is an environmentally sound choice as there is no chemical involved. Chemicals can be said to have been the common method before the launch of hydro jetting. This comes with much more healthy hazards. It is chemical free as it used pressurized steam of water. You are therefore assured that your pipe cannot be damaged. • The results are instant. The simplicity and the quick results rank it high. Hydro jetting technology yield immediate results while other methods may keep you waiting. The high-pressure water steam wipes out all the clogs and debris in a brink. • Its affordability is still another method that makes hydro jetting technology useful. There are so many people who contact their plumbers almost every month and if well investigated it is the same issue. With hydro jetting, you only have to pay ones and all your sewer line issues will be solved. While other methods may require you to clean the sewer line annually, hydro jetting allows you to have several years of break. • Hydro jetting is also comprehensive. It solves quite a number of issues. While other methods may require you to have the chemicals to decay the debris and then look for others to push them through the sewer line, the hydro jetting pressurized water does everything.